Silicone Molds ♥ Dinkalulu.com ♥ WhysperFairy.com ♥ Molds4You.com: Gloss, Resin, Mica Oh Wow! 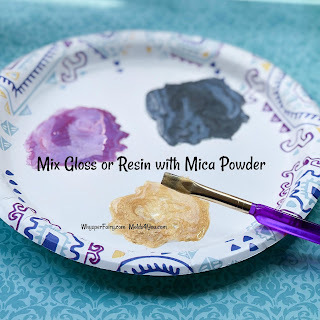 Make Your Clay, Resin or Plastic Cabochons POP With Mica Powder! Gloss, Resin, Mica Oh Wow! Make Your Clay, Resin or Plastic Cabochons POP With Mica Powder! I LOVE Mica! 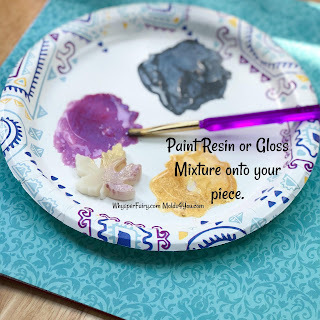 I mix mine with a Clay Gloss or Resin and paint over my clay, resin or plastic pieces to create Awesome Pieces! Be sure to wear a mask when using mica. It tends to float through the air and I don't like breathing it.